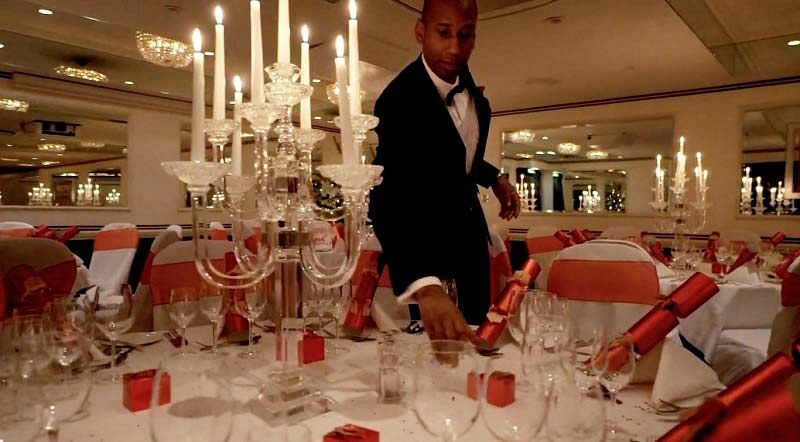 For a unique Christmas party in London that will have everyone talking for time to come, then this fantastic venue and Ski Lodge is the perfect place to celebrate the festive season. So step on in from the chilly outside and into this warming winter paradise where the merriment flows freely. During the evening, guests will enjoy exclusive hire of the venue’s stunning suite and will be welcomed to the venue with a drinks reception at the festive Ski Lodge. 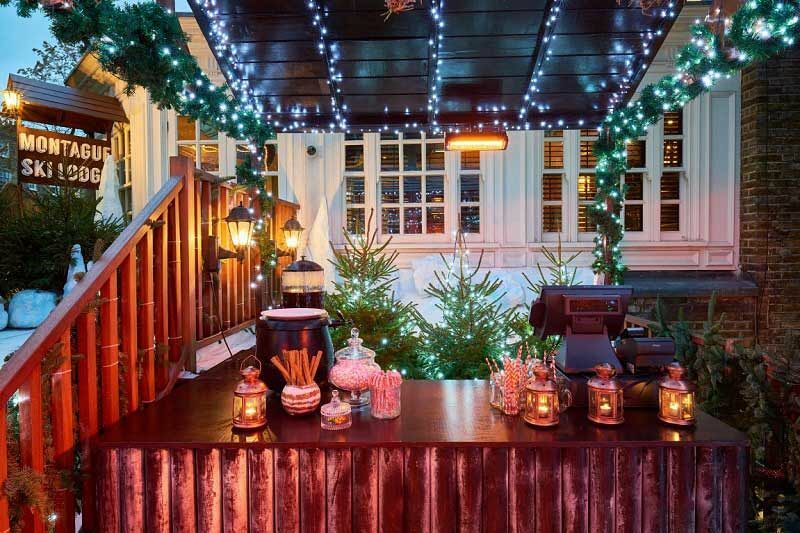 A chilled glass of mulled wine or spiced cider will be waiting to greet guests on arrival to get everyone in that festive mood. Everyone will then enjoy catching up with one another away from the workplace, before taking in the fantastic sights of the ski lodge and relishing in the alpine atmosphere. The bar takes centerstage and offers a great selection of alcohol including a choice of 12 different Schnapps and vodka which will be sure to warm those cockles! 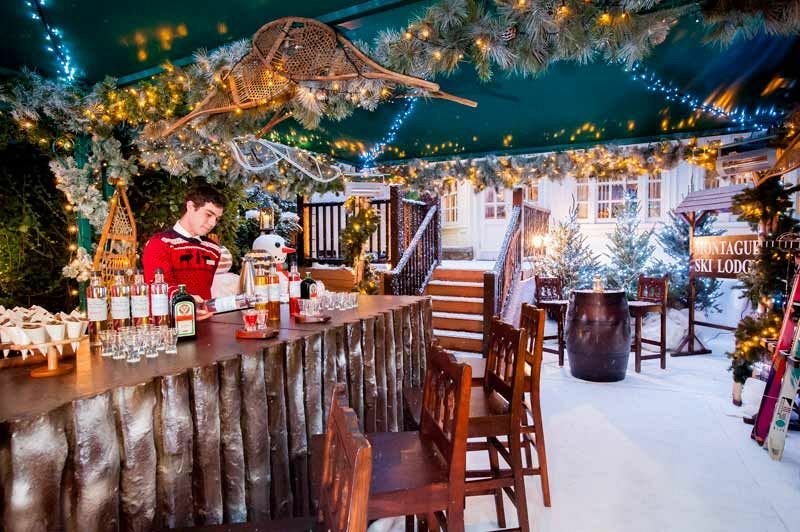 The Ski Lodge will be beautifully decorated with twinkling fairy lights and lanterns and will also feature pine trees, reindeers, snowmen, ski racks, piste maps and falling snow to create the ultimate Christmas atmosphere. Enjoy the culinary delights of the sumptuous Christmas feast on offer from the three-course festive menu that also comes with a half-bottle of sommelier’s red or white wine for each guest. A half-bottle of mineral water will also be included in addition to those all-important Christmas crackers and novelties. The dining experience concludes with freshly brewed tea, coffee and traditional mince pies - so take a seat, dine and enjoy relaxing and unwinding away from work! The night continues with the venue’s professional DJ and disco* where you’ll be able to party the night away and let your hair down to the amazing festive playlist! Alternatively, if you want to chill in the festive log cabin, snuggle up in the woolly rugs and enjoy a steaming mug of hot chocolate, then you’ll be able to do just that! Dates are likely to be snapped up quickly for this fabulous Christmas event, so make sure you book your party today! Availability throughout November, December and January - please note that a minimum spend will apply to dates in December.